Grüner See (Green Lake) is a lake in Austria, in a village named Tragöß. 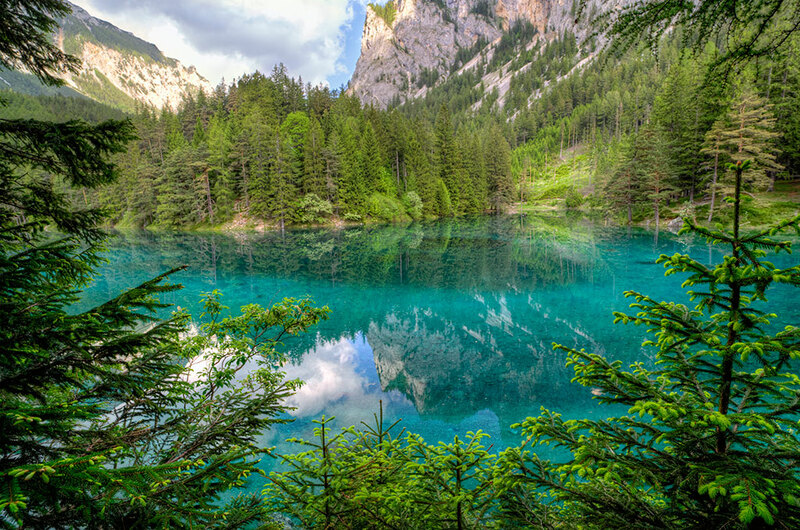 The name "Green Lake" originated because of its emerald-green water, the clean and clear water comes from the snow melt from the mountains. Before traveling to Austria I found photos of this lake online and I was a little skeptical about the color of the water so I decided to take a look by myself. I was staying in Vienna and I drove 2 hours to get this place and I was amazed by the color of the water.